Information security is a complex subject comprised of many layers. A frequently overlooked layer is that of the Local Administrator password. As the name suggests, it is an all-powerful account on all clients and member servers. There are several approaches for the management of Local Administrator passwords within an organisation, however, until recently these have been either very expensive, labour intensive or result in the same password being set on all client computers and static passwords for servers. To simplify this important security requirement, Microsoft have released the Local Password Administrator Solution (LAPS). LAPS allows us to set centralised policies to automatically and securely set a unique and complex password on each system and update them on a schedule. The password is securely transported and stored against the computer object Active Directory (AD), so passwords are easily recoverable. Using existing Group Policy and AD infrastructure means that the configuration and permissions can be tuned to specific requirements, for example, stronger requirements on servers or delegated access over specific clients. Perhaps the best thing about LAPS is that it is free, so go ahead and automate best practice Local Administrator password practices today. For assistance with the design and execution of LAPS please contact BDS. 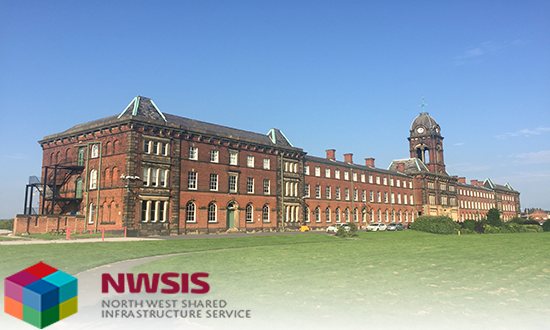 Ben Heather, News Editor from Digital Health, recently made a visit to the headquarters of the North West Shared Infrastructure Service (NWSIS) to find out why and how this model of connected community infrastructure has worked so well for more than ten years. NWSIS provides proven and tested infrastructure services and a governance model that allows each ICT provider to retain autonomy for their own assets and service users whilst providing deep levels of integration with their business partners. The cornerstone of this environment is a network directory service (Microsoft Active Directory) which spans all member organisations and locations. Established in May 2002, the Active Directory service has enabled numerous inter-organisation functions ranging from basic file shares to advanced communication services. This has been fundamental in fostering a unique spirit of co-operation between the stakeholder organisations.